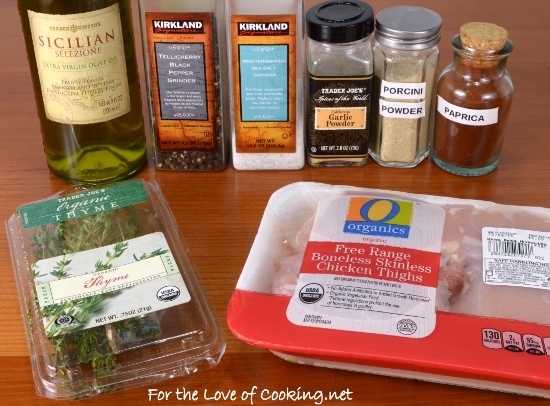 I wanted a healthy and flavorful chicken dish to pair with the risotto I was making for dinner. I grabbed some boneless/skinless chicken thighs then simply seasoned them with fresh thyme leaves, salt, pepper, garlic powder, and paprika. The chicken cooked for a few minutes on the stove top then finished it in the oven. 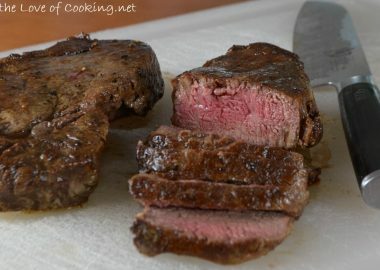 It turned out really moist, tender, flavorful, and healthy. We all enjoyed the chicken and it paired nicely with risotto and salad I served it with. Season each side of the chicken thighs with fresh thyme leaves, porcini powder, sea salt, freshly cracked pepper, garlic powder, and paprika, to taste. 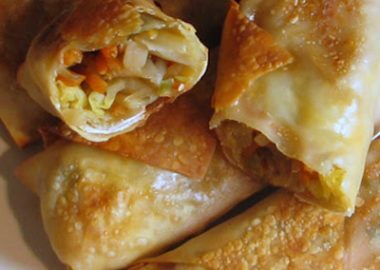 Place on a plate and into the refrigerator for at least 30 minutes. 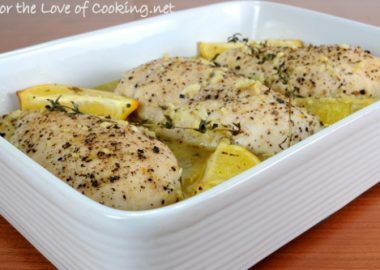 Remove the the chicken from the refrigerator 20 minutes prior to cooking. Preheat the oven to 350 degrees. 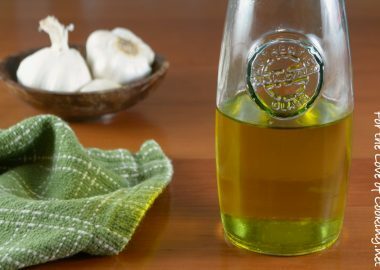 Heat an OVEN PROOF pan over medium high heat and coat it with the olive oil. 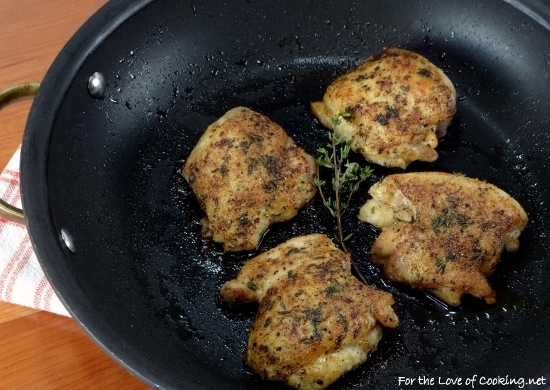 Add the chicken thighs to the hot pan and cook for 4 minutes or until golden brown, flip the chicken. Add a sprig of thyme to the pan then place it into the oven. Roast the chicken for 15 minutes then remove from the oven. Let the chicken rest for a few minutes prior to serving. Enjoy. 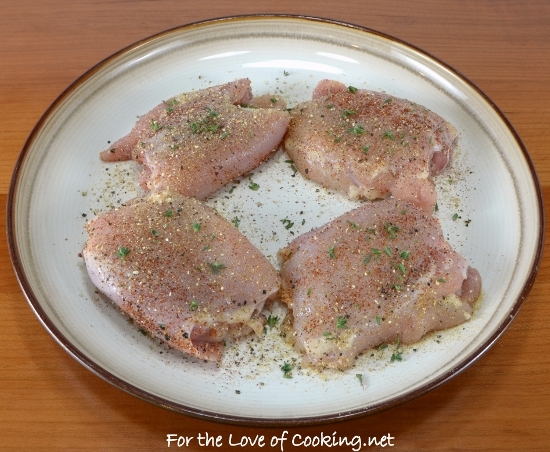 Season each side of the chicken thighs with fresh thyme leaves, sea salt, freshly cracked pepper, garlic powder, and paprika, to taste. 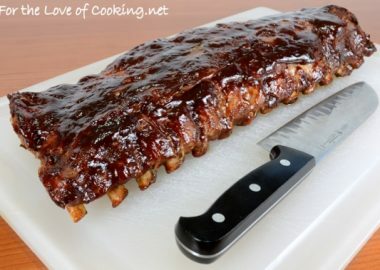 Place on a plate and into the refrigerator for at least 30 minutes. Remove the the chicken from the refrigerator 20 minutes prior to cooking. Love roasting chicken thighs; gives such a good flavour. Classic with thyme too. Sounds delicious! 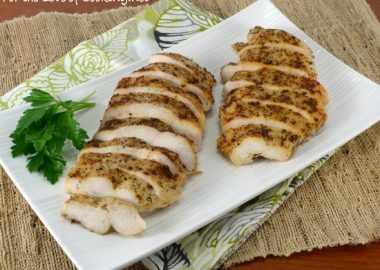 I used to buy only chicken breasts, but thighs are so much more flavorful and stay moist much better. And thyme is a great herb and goes great with chicken! You have the Porcini powder in your picture, but I’m not seeing it in the recipe. Am I missing it? Thank you! I have corrected the recipe. 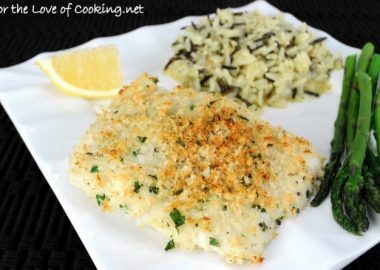 This looks lovely, I’m tired of rich food and ready for something lighter! Looks very good Pam and the kind of meal I need to be eating. I bet this was a great tasting chicken dish. Perfect for a week night. 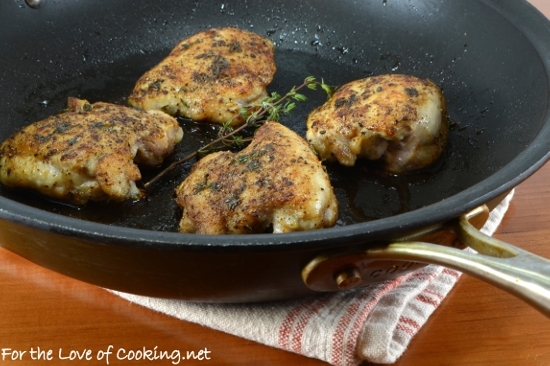 I never make chicken thighs, but I think I need these ASAP! Love the use of fresh thyme here! The chicken looks very juicy and delicious. Just made! YUM! Made with chicken breasts and no porcini powder. Awesome.